Whether your current ROI is something to brag about or something to worry about, the secret to making it shine lies in a 2011 award-winning movie starring Brad Pitt. Do you remember the plot? The manager of the downtrodden Oakland A’s meets a baseball-loving Yale economics graduate who maintains certain theories about how to assemble a winning team. His unorthodox methods run contrary to scouting recommendations and are generated by computer analysis models. Despite the ridicule from scoffers and naysayers, the geek proves his point. 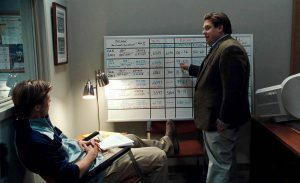 His data-driven successes may even have been the secret sauce, fueling Boston’s World Series title in 2004 (true story, and the movie is Moneyball). Being data-driven seemed a geeks’ only game, or a far reach to many, just a few years ago. Today, it’s time to get on the data-driven bandwagon…or get crushed by it. Let’s briefly look at the situation and the cure. Brand awareness, test-drive, churn, customer satisfaction, and take rate—these are essential nonfinancial metrics, says Mark Jeffery, adjunct professor at the Kellogg School of Management. Throw in a few more—payback, internal rate of return, transaction conversion rate, and bounce rate—and you’re well on your way to mastering Jeffery’s 15 metric essentials. Organizations that embrace marketing metrics and create a data-driven marketing culture have a competitive advantage that results in significantly better financial performance than that of their competitors. – Mark Jeffery. You don’t believe in taking marketing and business growth advice from a guy who earned a Ph.D. in theoretical physics? Search “data-driven stats” for a look at the research. Data-centric methods are leading the pack. If learning to leverage data can help the Red Sox win the World Series, why are most companies still struggling to get on board, more than a decade later? CMO’s are swamped with information and are struggling to make sense of it all. It’s a matter of getting lost in the immensity of the forest and forgetting about the trees. We want the fruits of a data-driven culture. We just aren’t sure where or how to pick them. I’ve discovered that the answer to big data overload is hidden right in the problem, right there at the source. Data is produced by scientific means. That’s why academics like Mark are the best interpreters of that data. They’re schooled in the scientific method. That means I must either hire a data scientist or learn to approach the analytical part of business with the demeanor of a math major. Turns out that it’s not that difficult to get started. This brings us to the most important aspect, that is, the scientific approach to growth. Identify and observe a problem, then state it as a question. Research the topic and then develop a hypothesis that would answer the question. Create and run an experiment to test the hypothesis. Go over the findings to establish conclusions. Continue asking and continue testing. By focusing on one part of the puzzle a time, neither the task nor the data will seem overwhelming. As you are designing the experiment, you can control it. Here’s an example of how to apply the scientific method to data-driven growth/optimization, as online enterprises would know it. Question: Say you have a product on your e-commerce site that’s not selling as well as you want. The category manager advises lowering the price. Is that a good idea? Hypothesis: Research tells you that similar products are selling at an average price that is about the same as yours. You hypothesize that lowering your price will increase sales. Test: You devise an A/B test that will offer the item at a lower price to half of your e-commerce visitors and at the same price to the other half. You run the test for one week. Conclusions: Results show that lowering the price did not significantly increase sales. Action: You create another hypothesis to explain the disappointing sales and test this hypothesis for accuracy. You may think that the above example is an oversimplification, but we’ve seen our clients at The Good make impressive gains by arriving at data-driven decisions based on experiments even less complicated. And the scientific methodology applies to companies both large and small, too. We’ve used the same approach with everyone from Xerox to Adobe. Big data certainly is big, but it doesn’t have to be scary. Step-by-step analysis on fundamental questions followed by a data-driven optimization plan is enough to get you large gains. The scientific approach to growth can be best implemented with a platform that is connected and comprehensive. Such a platform, which shows business performance on its goals, from one stage of the funnel to another, can help save a lot of time, effort, and money. Businesses need to be data-driven in order to optimize for growth, and to achieve business success. 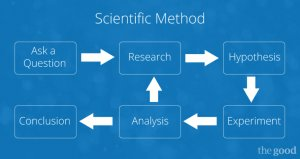 The scientific method can help utilize data in the best possible ways to attain larger gains. Take A/B testing, for example. Smart A/B testing is more than just about testing random ideas. It is about following a scientific, data-driven approach. Follow the Moneyball method of data-driven testing and optimization, and you’ll be on your way to the World Series of increased revenues in no time. Do you agree that a data-driven approach is a must for making your ROI shine? Share your thoughts and feedback in the comments section below. Average Order Value, Conversion Rate or Revenue Per Visitor – What Should You Track? Jon MacDonald is the founder and President of The Good, conversion rate experts who deliver more revenues, customers, and leads. Jon and the conversion agency team at The Good have made a practice of advising brands on how to see e-commerce sales double or more within 12–24 months. Brands that have utilized their Conversion Growth Program™ have seen an average revenue increase over 100%.